Wednesday 31st July 2013 – 4.40pm – Suzie Fothergill. West Midlands Ambulance Service was called to the incident near to Voyager Drive Orbital Retail Centre in Cannock shortly after 11.40am this morning. An ambulance and a rapid response vehicle were dispatched to the scene. The police and a fire service were also in attendance. A West Midlands Ambulance Service spokeswoman said: “Crews were called to reports of a single vehicle that had been in collision with a lamp-post. “On arrival at the scene, crews found a car that had suffered significant side and front-end damage. “The driver of the vehicle, a man in his 60’s, was trapped in the car. Emergency service crews work together, for approximately two hours, to extricate the man from the vehicle. Tuesday 30th July 2013 – 3.30pm – John Hawker. 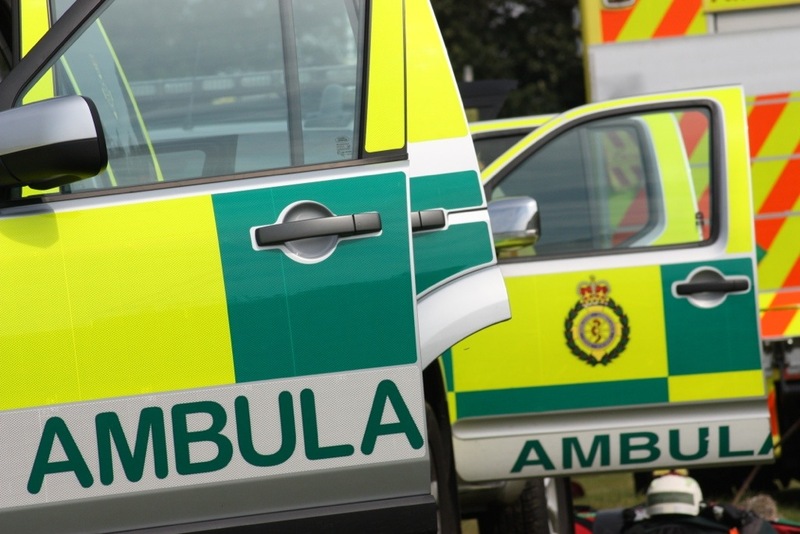 A woman has been extremely fortunate following a crash in Stratford Upon Avon this morning. The crash occurred on the A3400, just outside Bearley, at around 8.50am. An ambulance, a paramedic officer and the Midlands Air Ambulance from Strensham attended the scene. A West Midlands Ambulance Service spokesman said: “Crews arrived to find a car that had overturned along a stretch of road that had on-going road works. “The woman driving the car, believed to be in her 30’s, was ejected from the vehicle and was found on the road. She had suffered serious arm injuries in the crash including severe soft tissue loss. The woman received emergency treatment at the scene including pain relief. 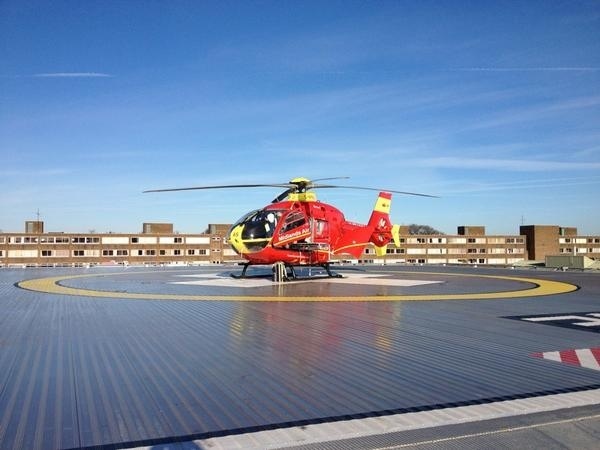 “She was immobilised using a spinal board and neck collar and airlifted to University Hospital Coventry and Warwickshire for further emergency treatment. “The hospital had been pre alerted to the woman’s arrival and her serious injuries. 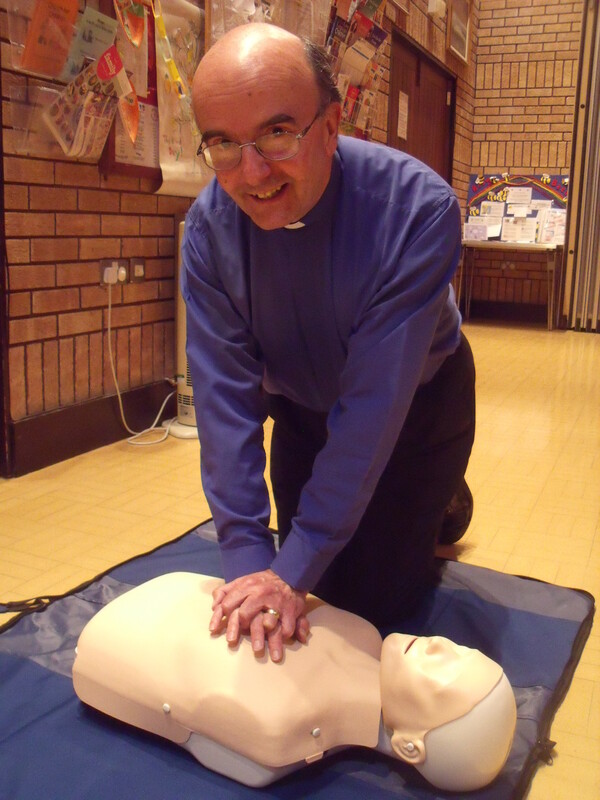 A vicar from Herefordshire was among 21 people who learnt vital lifesavings skills at a recent course run by volunteers from Herefordshire Heartstart. Rev. Phil Williams and parishioners from Holmer, St. Mary’s and Huntington Churches attended the two-hour course at Holmer Church Centre. They all learnt how to call for help, how to help an unconscious casualty, how to deal with choking, serious bleeding and heart attack. They were able to practise recovery position and CPR and by the end of the evening, they all felt a lot more confident to know what to do in a life threatening emergency. Herefordshire Heartstart is working with churches in the Diocese of Hereford under a grant from the Deanery Mission fund to deliver Heartstart training through churches in the area. Eight churches are being targeted under this project and will rollout during the year. Courses will take place in church centres, community halls, local businesses or anywhere where there is enough space to run a course for between 12 and 30 people. Monday 29th July 2013 – 8.52pm – Murray MacGregor. A man has died and eight other patients have been taken to hospital after a crash between a car and a bus in Walsall. In total 26 patients were seen by ambulance staff. The crash happened near the County Hotel in Birmingham Road at about 6.05pm. No fewer than six ambulances, a rapid response vehicle and two paramedic officers were dispatched after six 999 calls from the scene. A West Midlands Ambulance Service spokesman said: “The crash involved a collision between a car and a bus (X51 service). “Unfortunately, it quickly became apparent that there was nothing that could be done to save the man who was in the car and he was confirmed dead at the scene. “A total of 25 other patients from the bus were assessed by the crews who set up a casualty clearing station in the hotel. “Five patients were immobilised using neck collars and spinal boards before being taken to hospital; two, including the bus driver, were taken to Walsall Manor and three to Sandwell Hospital. “A 17 year old man was taken to Walsall with an exacerbation of an existing condition. Another man was taken to the same hospital with a throat injury after being thrown forward. 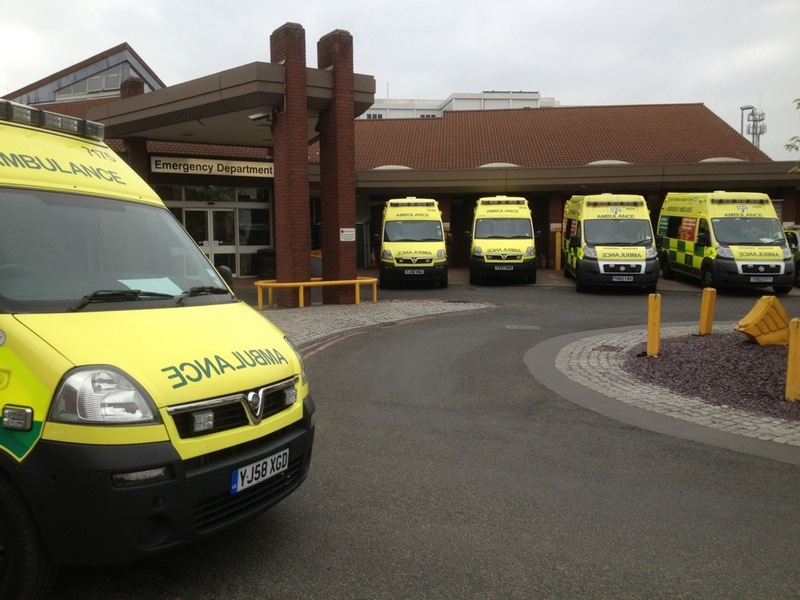 A woman with a knee injury was taken to New Cross hospital in Wolverhampton. A further 17 passengers were checked over but were uninjured and were discharged at scene. Monday 29th July 2013 – 6.51pm – Murray MacGregor. A woman has been airlifted to hospital following a collision with a lorry on a major Black Country route. West Midlands Ambulance Service was called to Cinder Bank Island, on the Dudley Southern Bypass at shortly after 3.50pm today. Two paramedic officers, an ambulance and the Midlands Air Ambulance from Cosford attended the scene. A West Midlands Ambulance Service spokesman said: “The woman, who was estimated to be about 50 years old had suffered multiple injuries to her legs, pelvis and head. “The air ambulance landed on the roundabout. The trauma doctor on board anaesthetised the woman at the scene before she was airlifted to Queen Elizabeth Hospital Birmingham. Four people have been taken to hospital following a road traffic collision on the M6 Toll today. West Midlands Ambulance Service was called to the incident near to junction T5 on the motorway at approximately 4.05pm this afternoon. Three ambulances, a paramedic area support officer and the Midlands Air Ambulance from Cosford attended the scene. A West Midlands Ambulance Service spokeswoman said: “On arrival at the scene crews found two vehicles that had left the carriageway and were found on the embankment. “The first car had been carrying four occupants at the time of the incident. 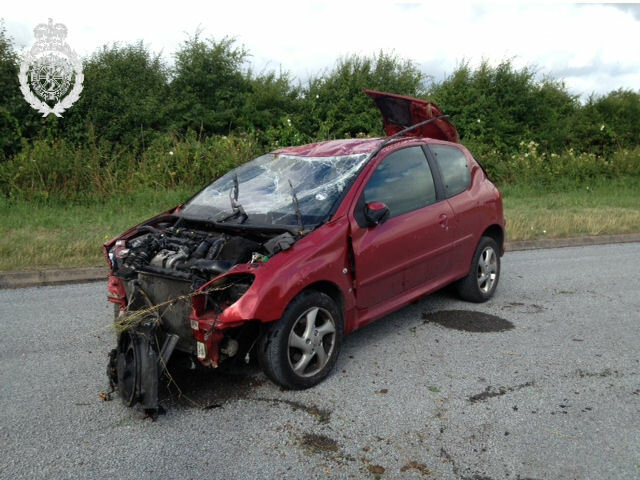 The front seat passenger, a woman, was treated at the scene for a significant head injury. The woman was airlifted to the major trauma centre at Queen Elizabeth Hospital Birmingham for further assessment and specialist treatment. The hospital was pre-alerted to the arrival of the woman and of her injuries. “The two rear seat passengers, a boy and a teenage girl, were treated for minor injuries before being conveyed to Good Hope Hospital. “The driver of the vehicle, a man, was assessed at the scene but appeared to be uninjured. Sunday 28th July 2013 – 7.00pm – Suzie Fothergill. Two people have been taken to hospital following a road traffic collision on the M6 near to Coventry today. 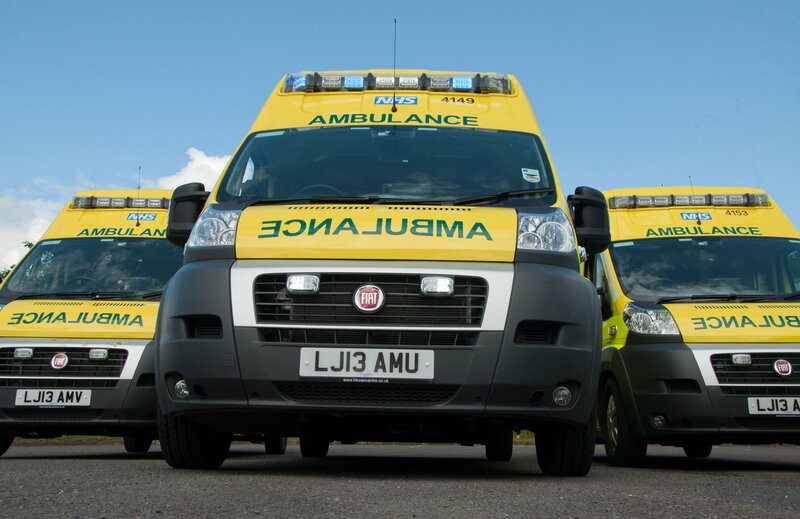 West Midlands Ambulance Service was called to the northbound carriageway of the M6, between junctions 1 – 2, shortly before 4.25pm this afternoon. Two ambulances and a paramedic area support officer in a rapid response vehicle were dispatched to the scene. A West Midlands Ambulance Service spokeswoman said: “Crews arrived to find a car on its side on the embankment of the motorway. “The driver of the car, a man in his early 20’s, was treated at the scene for spinal pain. The man was fully immobilised and conveyed to University Hospital of Coventry and Warwickshire. “The passenger of the vehicle, a woman of similar age, had sustained shoulder and arm injuries. Crews treated her at the scene before she was immobilised and taken to the same hospital for further assessment and treatment. Saturday 27th July 2013 – 6.10pm – Suzie Fothergill. A cyclist has been injured following an incident in Shropshire today. West Midlands Ambulance Service was called to a road traffic collision near to the Crown Inn in Hopton Wafers shortly after 1.30pm this afternoon. An ambulance and a rapid response vehicle were dispatched to the scene. A West Midlands Ambulance Service spokeswoman said: “On arrival at the scene crews found a cyclist and a car that had been in collision. Saturday 27th July 2013 – 5.00pm – Suzie Fothergill. 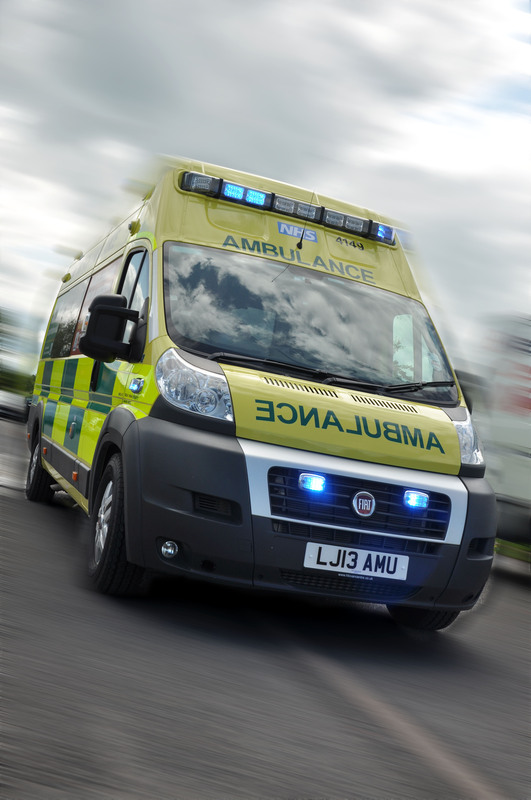 West Midlands Ambulance Service has been called to a number of road traffic collisions involving overturned vehicles in Staffordshire today. At approximately 7am this morning, crews were called to reports of an overturned lorry on the A519 in Eccleshall. An ambulance, a paramedic area support officer and a community first responder attended the scene. The driver of the lorry, a man in his 40’s, was trapped in the cab for a period of time. Once freed, with the assistance of the fire service, the man was treated for lacerations to his head and elbow. Due to the nature of the incident the man was fully immobilised and conveyed to University Hospital of North Staffordshire for further assessment and treatment. Shortly after 10.45am crews were called to a separate road traffic collision incident on the A53 in Upper Hulme in Leek. An ambulance, a paramedic area support officer, a community first responder, a BASICS Doctor and the Midlands Air Ambulance from Staffordshire were dispatched to the incident. On arrival at the scene crews found a single car that had been in collision with a hedge and was found on its side approximately 20 metres from the carriageway. The driver, a man believed to be in his 70’s, was trapped for over an hour. The man who was suffering from back pain was fully immobilised and, with the assistance from the fire service, extricated from the vehicle. The man was airlifted to University Hospital of North Staffordshire for further assessment and treatment. Saturday 27th July 2013 – 7.00am – Suzie Fothergill. A woman has been injured following a road traffic collision in Herefordshire today. West Midlands Ambulance Service was called to reports of a single vehicle that had overturned on the A4111 in Kington shortly after 1.55am this morning. An ambulance, a rapid response vehicle and a paramedic area support officer were dispatched to the scene. The Police and Fire service were also in attendance. A West Midland Ambulance Service spokeswoman said: “On arrival at the scene crews found a single vehicle road traffic collision. “The passenger of the car, a woman believed to be in her 20’s, was trapped. The woman, who had suffered a serious arm injury, was extricated from the vehicle with the assistance of the fire service. 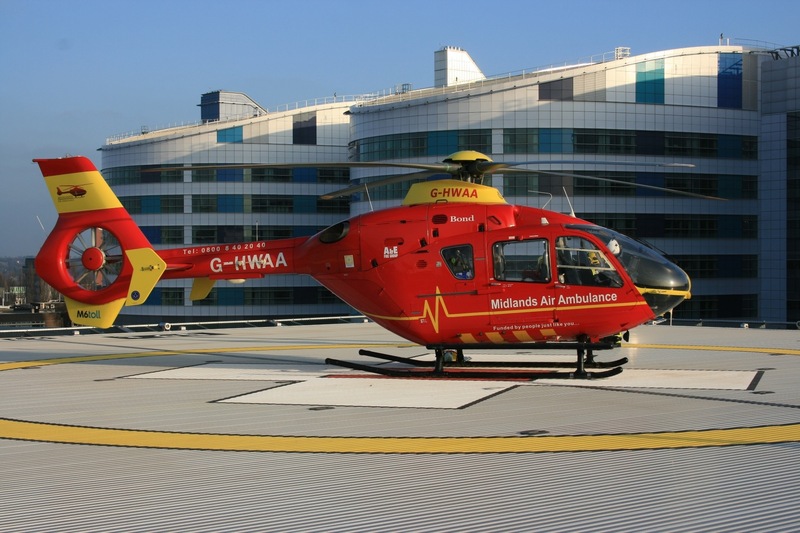 “Due to the serious nature of her injuries, the woman was conveyed to the major trauma centre at Queen Elizabeth Hospital Birmingham for specialist treatment. The Trust’s MERIT rapid response vehicle, carrying and critical care paramedic and a trauma doctor, met with the ambulance crew whilst on en route. The doctor travelled on board the ambulance and was able to administered advanced pain relief to the woman prior to her arrival at hospital. Friday 26th July 2013 – 9.00pm – Suzie Fothergill. West Midlands Ambulance Service was called to the incident on Manor Road in Madeley at approximately 4.35pm today. An ambulance, a rapid response vehicle, a senior ambulance officer, a BASICS doctor and the Midlands Air Ambulance from Cosford were dispatched to the scene. The police and the fire service were also in attendance. A West Midlands Ambulance Service spokeswoman said: “Crews were called to reports of a collision between a car and a motorbike. Friday 26th July 2013 – 2.37pm – Murray MacGregor. The tales you hear from fisherman are notoriously inaccurate, but for anyone casting their rod at a well known Black Country pool today, they certainly have a whopper of a story to tell. You certainly wouldn’t be falling hook line and sinker if they said that they almost caught a car today. As for the driver, far from being reeled in, he had to swim for it. The incident happened on Moseley Road in Willenhall at just after noon on Friday and resulted in three 999 calls to the ambulance service. A West Midlands Ambulance Service spokesman said: “Given the nature of the calls, we immediately sent an ambulance to the scene. “When the crew arrived, they found a bus stop that had been damaged, a hole in a hedge and a car sitting in the pool with water up to the level of the windows. “They were told that the incident happened after a near miss between two cars. “Fortunately, the driver, who was estimated to be about 20 years old, had been able to climb through the car window and swam to the bank where he was sitting when they arrived. “He was checked over but other than being soaked through, his observations were normal and so he was discharged at the scene. “Given the circumstances, it is indeed fortunate that no-one was injured. Friday 26th July 2013 – 12.50pm – Murray MacGregor. With the schools now all on their long summer holidays, what better time to think about getting the whole family more physically active. There is now overwhelming research that shows eating well and being active has multiple health benefits and can also help to bring a family closer together. West Midlands Ambulance Service Medical Director, Dr Andy Carson, said: “As a Trust, we have always urged our staff to keep active and try to eat healthily because of the nature of their jobs. It’s not always easy when you are working shifts, but it is undoubtedly worth making the effort. “These days, ’modern life’ can mean that we’re a lot less active. The reality is that there are now so many opportunities to watch TV or play computer games. Equally, our diets have changed with convenience and fast food available. “New statistics show 90% of our children risk growing up with dangerous amounts of fat in their bodies. This can cause life-threatening diseases like cancer, type 2 diabetes and heart disease. “By the time we reach middle age, the majority of us could do with losing at least a bit of weight. Being overweight isn’t just about the way we look. It can lead to more aches and pains, problems sleeping and people report a loss of energy and confidence. It also increases our chances of getting heart disease, type 2 diabetes and some cancers. If you would like more help and advice, why not have a look at the Change4Life website http://www.nhs.uk/Change4Life to get some ideas on how you can have fun and keep active. The site has just launched its ‘Get Going This Summer’ campaign. Friday 26th July 2013 – 7.30am – Suzie Fothergill. 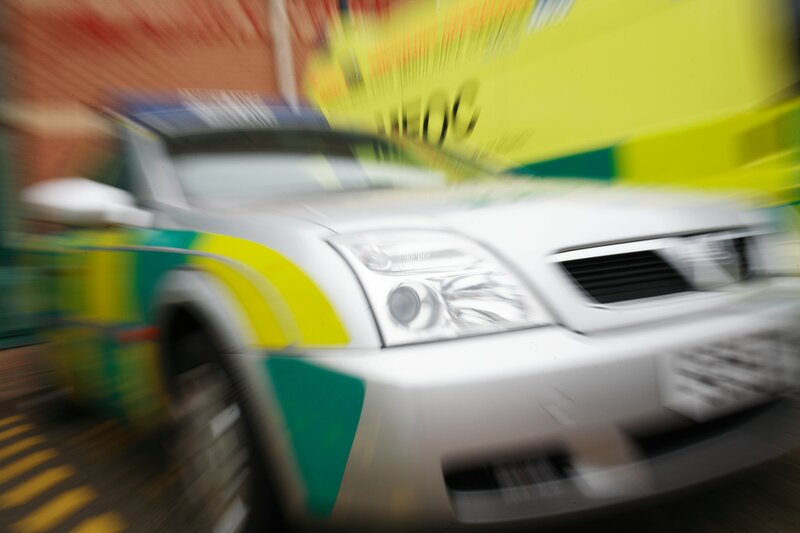 A man has been taken to hospital following a road traffic collision in Birmingham yesterday. West Midlands Ambulance Service was called to reports of a car that had been in collision with a wall at the junction of Lode Lane and Valley Road in Elmdon at approximately 11.30pm last night. A West Midlands Ambulance Service spokeswoman said: “Crews treated the driver of the car, a man in his 20’s, for a fractured leg and pelvic injuries. We are currently recruiting for Registered Paramedics, Graduate Paramedics, Qualified Emergency Medical Technicians and Business Admin Apprentices. Wednesday 24th July 2013 – 8.00pm – Murray MacGregor. 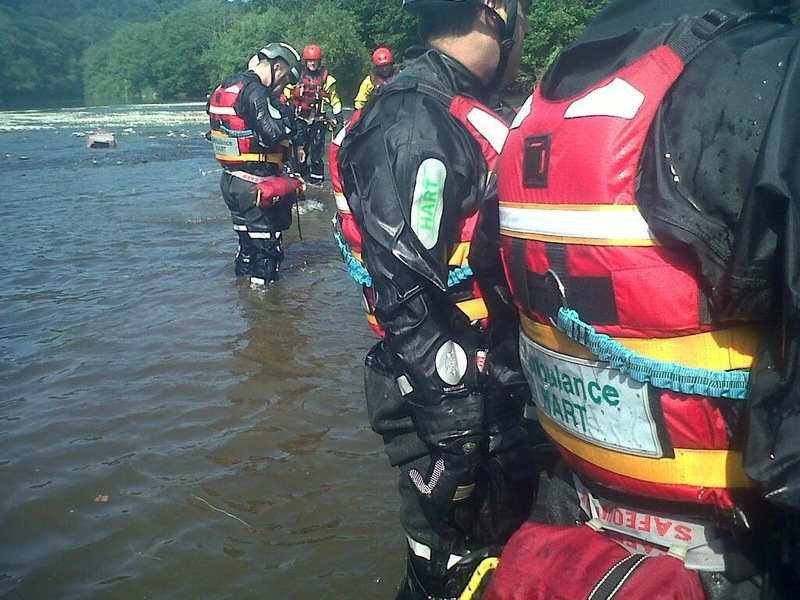 Since the period of hot weather started, three people have died and another three are lucky to be alive after being rescued from open water in the West Midlands. Earlier today (Wednesday) two children were pulled from the River Arrow near Dolphin Road in Abbeydale, Redditch. A six-year-old girl was semi-consciousness, had hypothermia and had swallowed river water. She was airlifted by the Midlands Air Ambulance to Birmingham Children’s Hospital, while an 11-year-old boy was taken by land ambulance to the Alexander Hospital in Redditch having also swallowed water and with milder hypothermia. John Woodhall is Support Manager with our Hazardous Area Response Team (HART) and a water rescue specialist. He said: “People need to understand that going into open water such as rivers, canals, water filled quarries and reservoirs can be very dangerous. “Our staff undergo extensive training to be able to go into this type of water safely. What people probably haven’t thought about is that we wouldn’t dream of going in without wearing appropriate safety equipment. “Even in our training we see the reasons why people get into difficulty. Even though it has been hot recently, the water is still cold and that catches people out. You can get muscle cramps and stitches. The bottom is uneven, there are no depth markings. Even strong swimmers can slip underwater and you may not make it back up again. Wednesday 24th July 2013 – 4.30pm – Suzie Fothergill. Two children have been taken to hospital after being pulled from a river in Worcestershire this afternoon. West Midlands Ambulance Service was called to the River Arrow near to Dolphin Road in Abbeydale, Redditch shortly before 12.40pm today. An ambulance, a rapid response vehicle and the Midlands Air Ambulance from Strensham were dispatched to the scene. A West Midlands Ambulance Service spokeswoman said: “On arrival at the scene crews found two children who had been pulled from the river. “Ambulance crews treated a six-year-old girl who was found to have a reduced level of consciousness and suffering from hypothermia. The girl was also found to have ingested some water from the river. Crews provided emergency medical treatment at the scene before airlifting the girl to Birmingham Children’s Hospital, where on arrival, she was conscious and talking to paramedics. “A second patient, an 11-year-old boy, is also believed to have ingested some of the river water and was suffering from hypothermia. The boy again was provided with medical treatment at the scene and conveyed, via land ambulance, to the Alexandra Hospital in Redditch for further assessment and treatment. 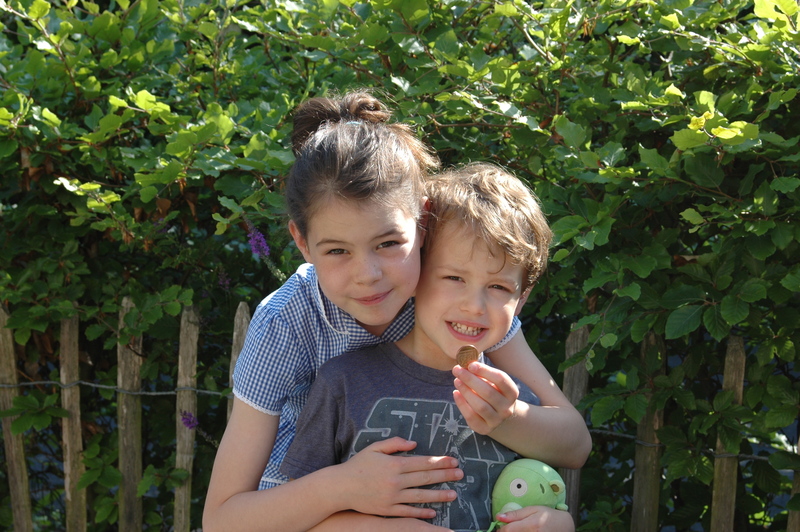 “Both Children were extremely fortunate to have been pulled to safety from the river by passer-bys. The incident once again highlights the dangers of rivers, lakes and disused quarries. Wednesday 24th July 2013 – 10.20am – Murray MacGregor. West Midlands Ambulance Service is welcoming the Health Select Committee report into emergency and urgent care saying it highlights the growing importance the ambulance service can make in ensuring patients get the right treatment, in the right place and at the right time. The report notes that ambulance services around the country have evolved in recent years so that they now take care to the patient rather than simply taking the patient to care. WMAS Trust Chief Executive, Anthony Marsh, gave evidence to the committee in June. He said: “A key part of the change is the way in which we are upskilling our staff so that they can treat many more patients there and then, rather than have to transport them to an A&E Department. “For WMAS, we have been rapidly increasing the number of paramedics we have so that soon, 70% of our frontline workforce will be made up of paramedics; the highest percentage in the country. This means that there will be one of every emergency vehicle we operate. “In addition, we are training hundreds of our staff to an advanced paramedic level giving them more skills and the ability to treat more patients. For example, the advanced paramedics can now identify if a patient has a urinary infection. This has stopped literally hundreds of patients being taken to A&E. Equally, they can glue lacerations, which again avoids many patients having to be taken to hospital. “By treating more patients at the scene, it means we are able to target our ambulances on getting critically ill and injured patients, who have conditions such as a heart attack, a stroke or have suffered a serious traumatic injury, to the specialist care they need in hospital, even more quickly than we do currently. “I must pay tribute to the tremendous work ethic of our staff who have embraced the fundamental changes that we have been introducing over recent years. Many have pushed themselves extremely hard through the likes of university courses so that they can learn the skills necessary to improve the care we provide to patients. I know from speaking to them the benefits that the patients get, but also the sense of achievement that the staff feel at learning the new skills. “Although there are lots of good things within the report, we recognise that we cannot be complacent. We are committed to working with partners within the healthcare economy to make further improvements. “This joint working has already resulted in a dramatic improvement in the amount of time it takes to hand patients over to hospital staff at A&E Departments. Delays have been almost completely wiped out, which is not necessarily the case in all areas of the country. “We now want to take the level of care we provide to the next level. Through joint working between hospitals, commissioners and ourselves, we have seen tremendous improvements to the care provided to heart attack, stroke and trauma patients. We believe that we can develop this further through joint working to other areas of care. Tuesday 23rd July 2013 – 11.45am – Murray MacGregor. Ambulance bosses are renewing appeals for cyclists to wear cycle helmets. The call comes after a Solihull woman came off her bike whilst out riding with friends in Elmdon Park on Monday night. A rapid response vehicle, an ambulance and the Hazardous Area Response Team (HART) were sent to the scene after a 999 call at around 8.45pm. A West Midlands Ambulance Service spokesman said: “The woman was out riding on the large hill in the park when her front wheel went down a hole and she was thrown over the handlebars. “The 23 year old suffered grazing to head and shoulder and was complaining of neck pain. She was also concussed. “The woman was immobilised using a neck collar and spinal board as a precaution. “The HART team were sent over concerns about getting the patient to the ambulance due to the rough ground. “Our concern is that had the woman been wearing a cycle helmet, she might well have suffered considerably less serious head injuries had she been wearing a helmet. We would urge all cyclists to wear one when they are riding. “While wearing a helmet does not remove the risk of injury entirely, it does significantly reduce the extent of injury due to impacts to the head, particularly with children. 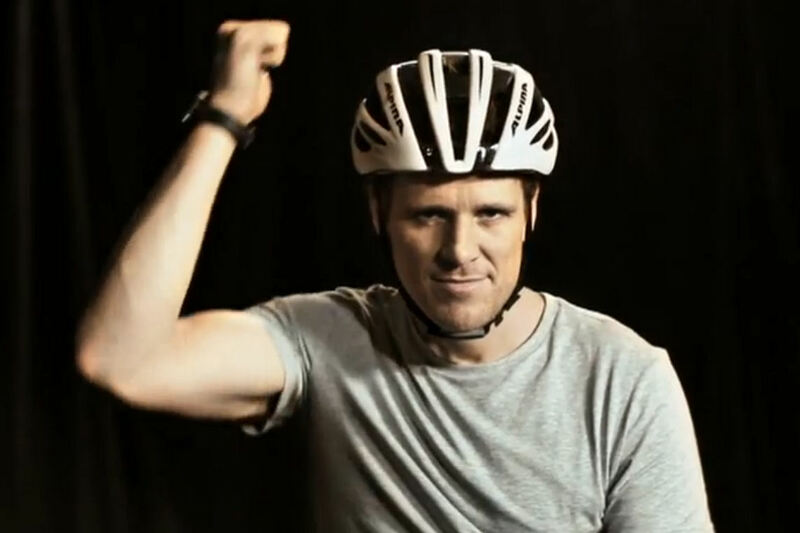 A high profile supporter of cycle helmets is former Olympic rowing gold medallist James Cracknell. In July 2010, he was cycling in a charity event near Phoenix in Arizona when he received a direct hit on the back of his head from the wing mirror of a fuel tanker which was travelling at around 70mph. 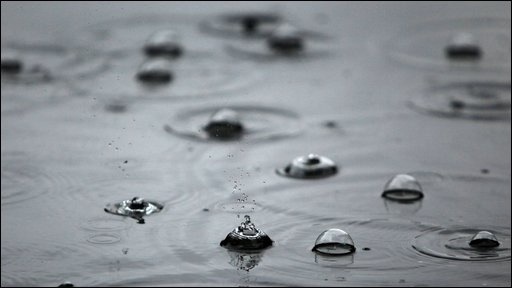 We face a really busy day; a combination of the rain and the heat. Please think before you dial 999 and consider other parts of the NHS. Monday 22nd July 2013 – 7.20pm – Murray MacGregor. Drivers are being warned of the dangers when caught up in traffic jams on the motorway after a series of incidents on the M5 in Worcestershire on Monday afternoon. The three crashes involving four cars, a caravan and two vans resulted in one woman being taken to hospital and another seven people being treated by ambulance staff. What was more worrying were the actions of some drivers caught up in the resultant traffic jams. A West Midlands Ambulance Service spokesman said: “We would urge drivers to keep their levels of concentration up even though it can be extremely boring being sat in traffic for long periods of time, especially in these temperatures. “Due to the heat a number of cars had broken down. The drivers had moved onto the hard shoulder but left their vehicles in the middle of the lane. This resulted in the ambulance staff having real difficulties getting to the scene of the incidents. If you break down, please move as far to the left of the hard shoulder as possible so that emergency vehicles can still get by. If possible, you should then get out of the vehicle and move away from it so that you are safe in case it gets hit by another vehicle. “In recent days we have also seen cases where drivers get out of their cars when stuck in jams on motorways even though the other carriageway is still flowing. This is incredibly dangerous. We have all seen stones getting thrown up by cars, hitting windscreen and cracking them. The initial incident happened at just after 2.30pm on the southbound carriageway at junction 4A where the slip road to the M42 leaves the carriageway. A caravan overturned after it jack knifed. Thankfully the car towing it remained upright but the caravan was badly damaged with wreckage over lanes one and two. A rapid response vehicle was dispatched as the driver was complaining of a medical condition after the incident. After monitoring he was discharged at scene. Due to crash, considerable queues built up in both directions. At just before 3.20pm, a second call to the same location was received, this time to a three car crash. An ambulance, a rapid response vehicle and a paramedic officer were sent to the scene. A woman in her 30s in the front car was complaining of neck pain. She was immobilised and taken to Worcestershire Royal Hospital for further assessment. The man in the middle car was shaken but unhurt while a woman in her 30s along with a young child in the rear car were uninjured. The third accident happened at 3.45pm on the northbound carriageway, 400 yards before junction 6 when two vans collided in the congestion. It resulted in the small van in front leaving the carriageway, narrowly missing a large sign and ending up wedged in a thicket of young trees. An ambulance and the same paramedic officer went to the scene. Fortunately neither of the drivers was hurt. Monday 22nd July 2013 – 5.45pm – Chris Kowalik. Three people have been taken to hospital, one by air ambulance, following a collision involving two cars and a lorry in Birmingham. West Midlands Ambulance Service was called to the junction of Water Orton Road and Blackthorn Road in Castle Bromwich shortly after 3.45pm today. A paramedic area support officer in a rapid response vehicle, two ambulance crews and the Warwickshire and Northamptonshire Air Ambulance attended. A West Midlands Ambulance Service spokesman said: “The lorry driver, a man in his fifties, had a chest injury. Among the treatments given at the scene was the administering of pain relief. He was flown to Queen Elizabeth Hospital Birmingham. “The male driver of one of the cars was immobilised at the scene as a precaution and was taken by land ambulance to Heartlands Hospital. Monday 22nd July 2013 – 1.10pm – Murray MacGregor. The Met Office has put out a Yellow Warning saying that we could see some localised torrential downpours with some instances of surface water flooding pretty much anywhere in the West Midlands. 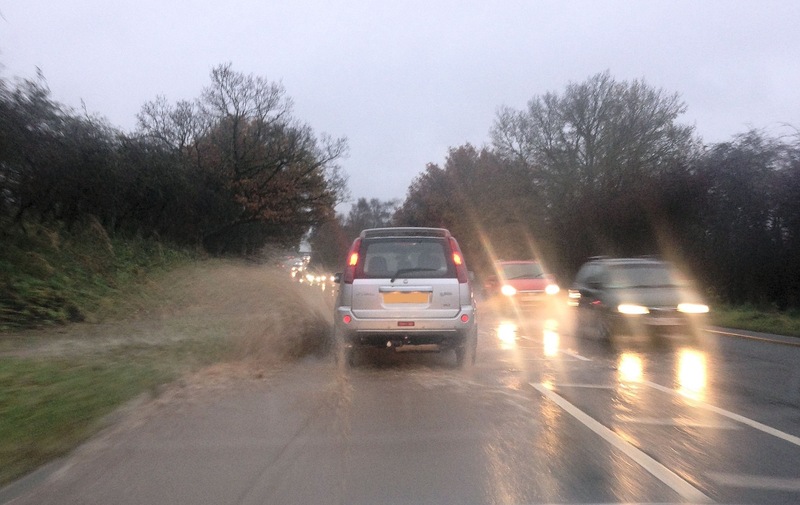 Drivers need to be particularly careful as the roads could be difficult. As well as the potential for lots of surface water, the weeks of hot weather leads to a kind of ‘road grease’, which when combined with water, becomes really slippery. Please be particularly careful when you’re out and about. Hearing the views of our patients and their families is important to us. We would like to know what you think; good or bad. Monday 22nd July 2013 – 12.30pm – Murray MacGregor. One of the best ways West Midlands Ambulance Service can develop as an organisation is to hear the views of the people we treat, their families and carers. Director of Nursing and Quality, Sandy Brown, said: “In the vast majority of cases, we get it right and provide an excellent level of care, but sometimes that isn’t the case. It is really important that we hear about those occasions so that we can analyse why it might not have gone as well as we would have wanted it to and, more importantly, learn the lessons necessary to try to make sure it doesn’t happen again. Help us to improve the service we provide to the people of the West Midlands by getting in touch. Monday 22nd July 2013 – 12pm – Chris Kowalik. Volunteer Community First Responders in Shropshire have raised £1,400 by carrying a “patient” on a stretcher with some help from their local firefighters. The stretcher was carried from the “Baron of Beef” public house at Bucknell to the “Sun Inn” at Leintwardine in a tour around both villages in June. 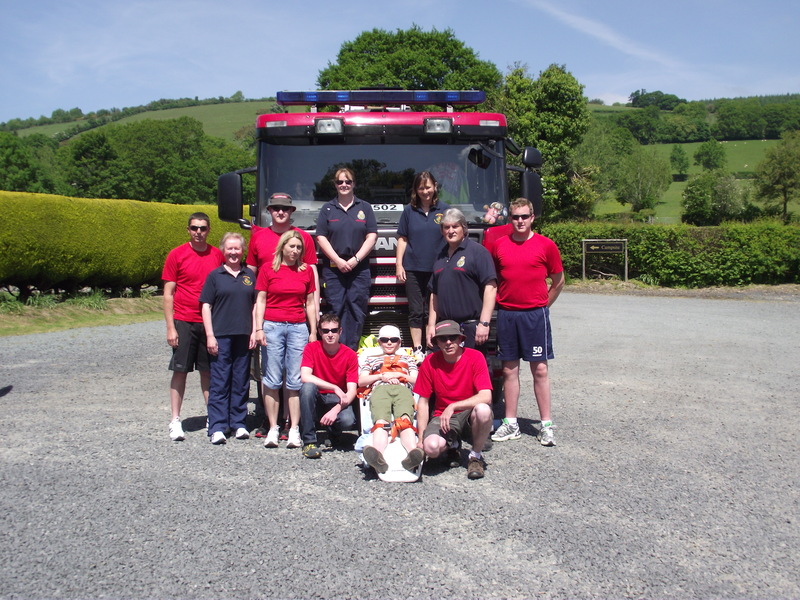 With help from Leintwardine’s fire crew and members of the public, the 5.3 mile distance was covered in relays in one hour and thirty-seven minutes. The money raised will go towards further equipping the scheme’s volunteers, one of whom became a Community First Responder after using a defibrillator to save the life of his own sister who had suffered a cardiac arrest. Community First Responders are volunteer members of the public trained by West Midlands Ambulance Service to a nationally recognised standard. They are sent to medical emergencies in their area while an emergency ambulance service vehicle is en-route. Monday 22nd July 2013 – 11.20am – Chris Kowalik. 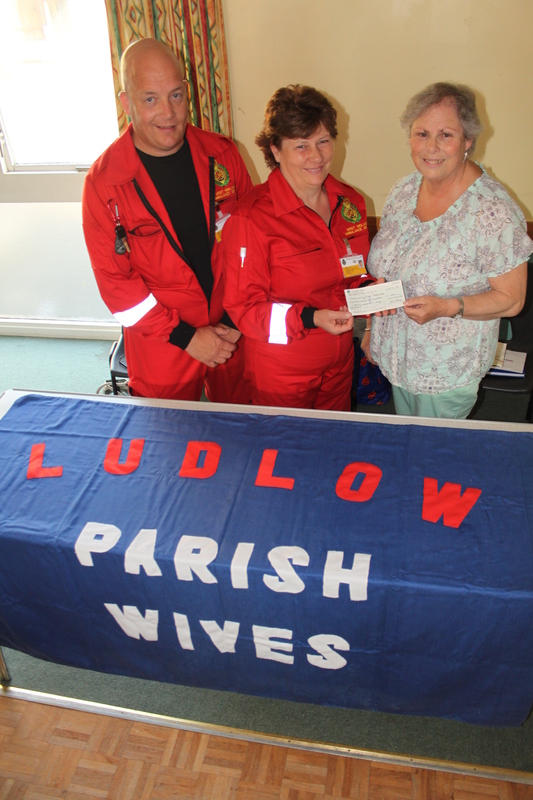 Volunteer Community First Responders (CFRs) in south Shropshire have been given a cheque for £1,630 by the Ludlow Parish Wives group. The CFR scheme was chosen as the Wives’ nominated charity following a talk delivered to the group last September. On Monday July 8th, volunteers Roger and Julie Price were presented with the cheque. The Wives raised the money through a variety of events including collections, a walk, treasure hunt, bingo evenings and coffee mornings. Note to Editors: Pictured: left to right: Roger Price (CFR), Julie Price (CFR), Chris Cole (Ludlow Parish Wives Treasurer). Sunday 21st July 2013 – 7.45pm – John Hawker. West Midlands Ambulance Service can confirm it was called to the A5 West Bound, around 2 miles from Shrewsbury, at around 8.30am this morning to reports of a serious RTC. A rapid response vehicle, an ambulance, a paramedic officer and the Midlands Air Ambulance from Cosford attended the scene. A West Midlands Ambulance Service spokesman said: “Crews arrived to find a car and HGV that had been in a serious collision. “A woman, who had been an occupant of the car, suffered multiple serious injuries and received emergency treatment at the scene. “She was airlifted to Queen Elizabeth Hospital Major Trauma Unit whilst treatment continued from the on board Doctor and Paramedic. “Unfortunately, despite their best efforts, nothing could be done to save the woman and she was confirmed dead shortly before arriving at hospital. “A man who had also been an occupant of the car suffered minor injuries in the crash and received treatment at the scene. He was transferred by land ambulance to Royal Shrewsbury Hospital for further treatment. Sunday 21st July 2013 – 7.15am – John Hawker. A pedestrian has been seriously injured following an RTC in Smestow, Swindon, Dudley at just after 1.30am this morning. A rapid response vehicle, an ambulance, a paramedic officer and the Trusts MERIT team attended the scene. “The man, believed to be in his mid 20’s, suffered multiple serious injuries and received emergency treatment at the scene. “The man was transferred by ambulance to Queen Elizabeth Major Trauma Unit for further treatment. The Doctor and the MERIT team travelled with the patient in the ambulance continuing with treatment en route. “The hospital had been pre alerted to the mans arrival and his serious injuries. Friday 19th July 2013 – 10.55pm – John Hawker. West Midlands Ambulance Service can confirm it was called to outside West Midlands Safari Park, Spring Grove, Seven Hills, Bewdley at around 4.10pm this afternoon. A rapid response vehicle, an ambulance and the Midlands Air Ambulance from Strensham attended the scene. A West Midlands Ambulance Service spokesman said: “Crews arrived to find a motorcyclist who was injured following an RTC. “The man, believed to be in his early 20’s, suffered serious shoulder and chest injuries. It is also believed he had been unconscious. “He received emergency treatment at the scene and was airlifted to Queen Elizabeth Hospital Major Trauma Unit for further emergency treatment. Friday 19th July 2013 – 4.45pm – John Hawker. West Midlands Ambulance Service can confirm it was called to the junction of Umberslade Road and Pound House Lane, Solihull, at around 8.00am to reports of an RTC. A rapid response vehicle, an ambulance, two paramedic officers and the Midlands Air Ambulance from Cosford attended the scene. A West Midlands Ambulance Service spokesman said: “Crews arrived to find a motorcycle and a van that had been in a serious collision. “The motorcyclist had suffered multiple serious injuries and received emergency treatment at the scene. The man, believed to be in his 20’s, was anaesthetised by the Doctor and was airlifted to Queen Elizabeth Hospital Major Trauma Unit for further emergency treatment. “The hospital had been pre alerted to the mans arrival and his serious injuries. Unfortunately the man’s injuries were considered life threatening. Friday 19th July 2013 – 10.00am – John Hawker. West Midlands Ambulance Service can confirm it was called to the A50, Longton, Stoke on Trent at around 3.20am to reports of a serious RTC. An ambulance, a paramedic officer and two BASICS Doctors attended the scene. A West Midlands Ambulance Service spokesman said: “Crews arrived to find a HGV and a pedestrian that had been in a collision. “Unfortunately, nothing could be done to save the female pedestrian and she was confirmed dead at the scene. Handy tips to help you through another hot weekend. Keep your home as cool as possible – shading windows and shutting them during the day may help. Open them when it is cooler at night. If there’s anybody you know, for example an older person living on their own, who might be at special risk, make sure they know what to do. Thursday 18th July 2013 – 10.00pm – Chris Kowalik. A man has died and another has been taken to hospital after the vehicle they were in left a road in north Shropshire. West Midlands Ambulance Service was called to the B5476 at Coton shortly after 12.05pm today. A West Midlands Ambulance Service spokesman said: “The driver had suffered numerous injuries. He received emergency treatment and was flown to University Hospital North Staffordshire where unfortunately he was confirmed dead. “There were two passengers in the vehicle. One of them, a man in his twenties, was treated for back pain and was fully immobilised at the scene before being taken by land ambulance to Royal Shrewsbury Hospital. Thursday 18th July 2013 – 4.15pm – Chris Kowalik. 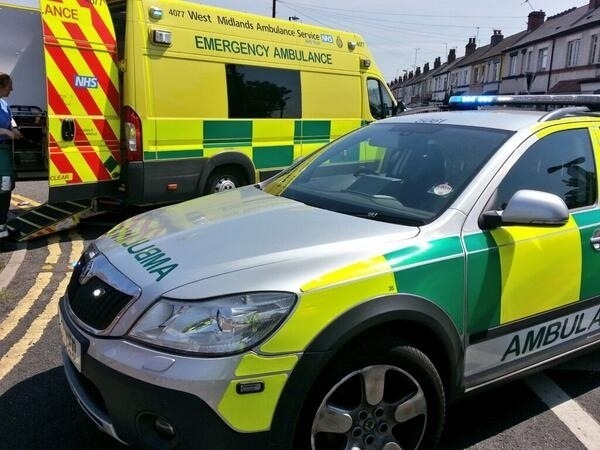 With the heatwave set to continue across the region this weekend, West Midlands Ambulance Service is urging the public to use restraint in calling 999 for an emergency response. The ambulance service is bracing itself for another challenging weekend after the previous two have seen call numbers soar over the 3,000 mark. 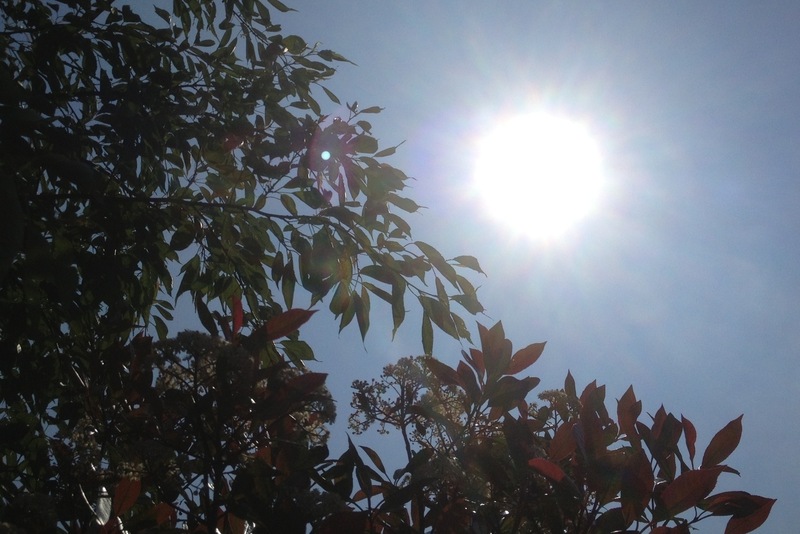 Today the Met Office issued a Level 3 Heatwave Alert for the region. One of the concerns for WMAS from a continuing hot spell is the number of calls to serious breathing problems. 999 calls to patients with breathing difficulties and chest pain reached almost 1,000 calls over the last weekend. WMAS Assistant Chief Ambulance Officer Daren Fradgley said: “A prolonged heat wave poses a real danger to those patients with emphysema, asthma and long term breathing problems. 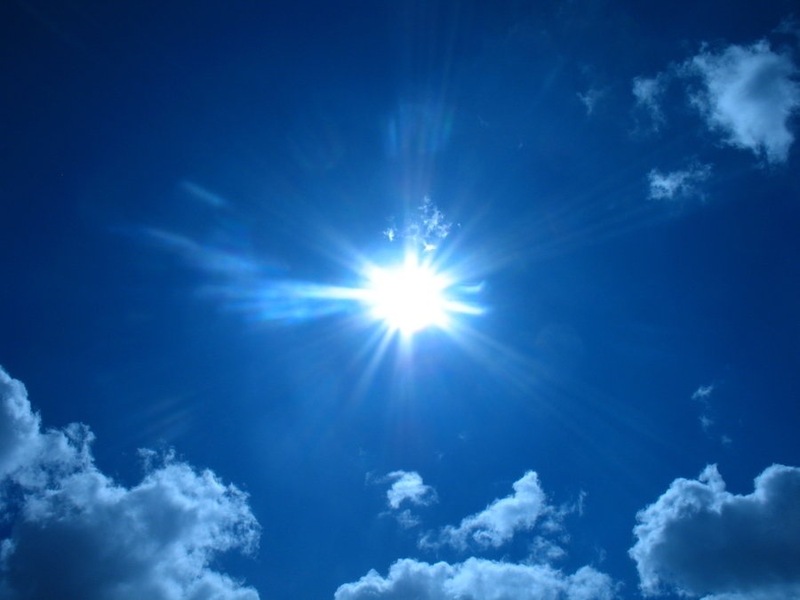 • If you’re out in the sun make sure you apply plenty of sun cream, wear a hat and light, loose fitting cotton clothes. Avoid being out between 11am and 3pm, which is the hottest part of the day. • Drink plenty of fluids, such as water, to keep yourself hydrated. Remember, caffeine and alcohol can have the opposite effect and can actually dehydrate you. • Fancy a swim? Then please do so in a supervised swimming pool. No matter how tempting it is to cool off in rivers and lakes. The Trust has sadly dealt with a number of incidents in open water. • If a barbecue is on the cards, please ensure that it is lit safely and in the correct manner. Avoid burn injuries by using the correct utensils and don’t let children play too closely to the hot barbecue. Lastly, please make sure that all food is cooked through properly to avoid any food poisoning incidents. 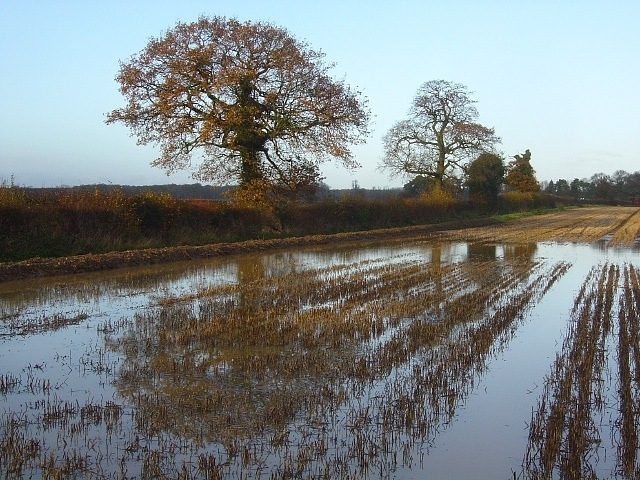 • If you’re taking advantage of the sunshine and are going out for a walk or hike in the countryside, please make sure you wear the appropriate footwear to avoid any slips or trips. • If you’re planning on hitting the road for a trip away, make sure you’re prepared for your journey, take food and drinks and remember to break the journey up. If driving in residential areas, please watch out for ice cream vans and any children that may be distracted around them. • We would also ask bikers to be careful and wear appropriate safety clothing. Equally we ask car drivers to look out for bikers, as the number of these on the road will be significantly higher when the weather is good. Wednesday 17th July 2013 – 6.05pm – Suzie Fothergill. A man has been airlifted to hospital following an incident in Staffordshire this afternoon. A MARS BASICS Medic came across the road traffic collision at the junction of Loxley Lane and Stafford Road at approximately 3.40pm this afternoon. The medic alerted West Midlands Ambulance Service who dispatched a rapid response vehicle and the Midlands Air Ambulance from Staffordshire to the scene. A West Midlands Ambulance Service spokeswoman said: “Crews arrived to find a motorbike and a car that had been in collision. “The motorcyclist, a man believed to be in his 20’s, was treated for potential hip and internal injuries. The man was fully immobilised before being airlifted to University Hospital of North Staffordshire for further assessment and treatment. Wednesday 17th July 2013 – 5.25pm – Suzie Fothergill. A man has been airlifted to hospital following an incident in the Black Country today. West Midlands Ambulance Service was called to reports of a single vehicle road traffic collision on Overfield Drive in Coseley, Bilston at approximately 2.15pm today. An ambulance, a rapid response vehicle and the Midlands Air Ambulance from Cosford were dispatched to the scene. A West Midlands Ambulance Service spokeswoman said: “On arrival at the scene crews found a man lying in the road after reportedly falling from a quad bike. “The man, believed to be in his 20’s, was treated for a head injury and multiple minor abrasions to his body. Due to the nature of the incident the man was fully immobilised before being airlifted to Queen Elizabeth Hospital Birmingham for further assessment and treatment. Wednesday 17th July 2013 – 9.30am – Suzie Fothergill. West Midlands Ambulance Service will have trained 10,000 people in Staffordshire in the lifesaving HeartStart course by the end of this week. 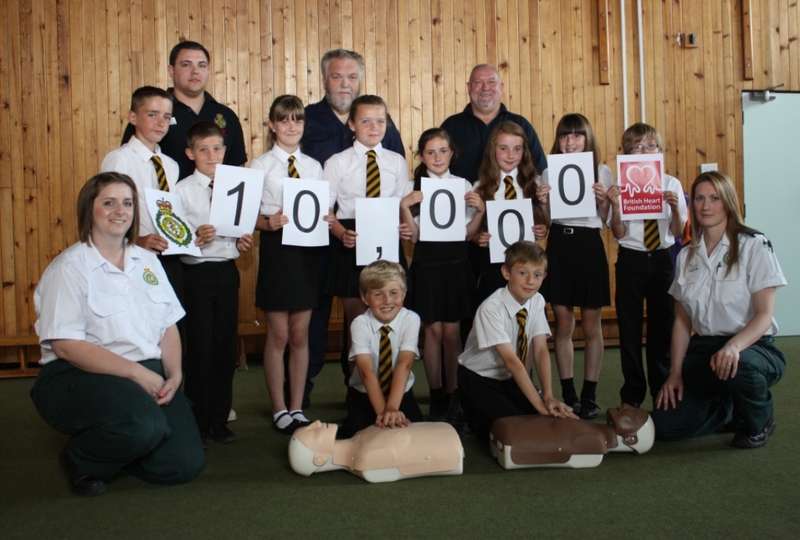 This huge milestone for the project will be reached as ambulance staff and volunteer HeartStart instructors train 500 children at Walton Priory Middle School in Stone throughout the week. 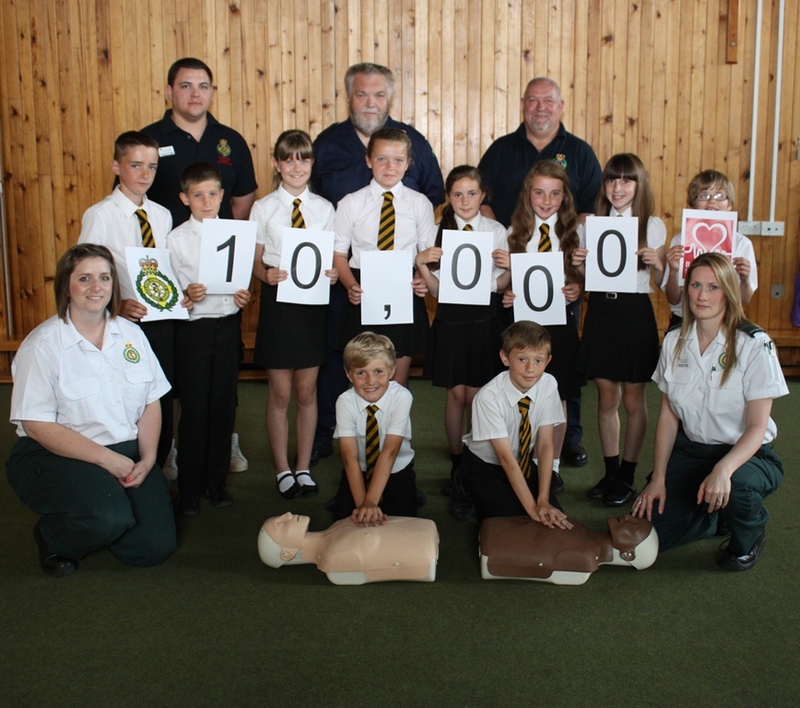 On the 1st April last year the service embarked on the five year HeartStart project, aiming to train basic life support skills to 60,000 people within the County. Over the last 15 months an average of 21 people every single day have been trained in how to save a life. The project has gone from strength to strength and many more courses are already planned for the forthcoming months. The free two hour British Heart Foundation courses are suitable for anyone from the age of ten years old and up and cover various lifesaving and first aid techniques including CPR (cardiopulmonary resuscitation), the management of severe bleeding, loss of consciousness, chocking and chest pain. Matt Heward, Community Response Manager said: “The Trust is absolutely thrilled by the response for these courses. The service believes it is extremely important to increase the public’s understanding of what they should do in a medical emergency. “Holding these free courses, which are open to all, has provided the public with the skills, confidence and a better understanding of what they should do in such an emergency which really could help to save lives. 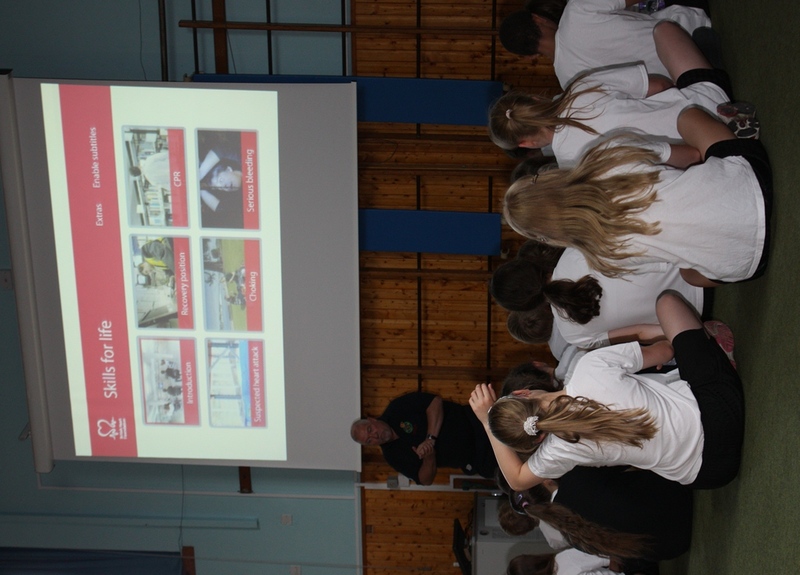 “One of the main aims of the project was to concentrate on getting schools involved and providing children with lifesaving skills at a young age. For more information about HeartStart and how to book on to a free course please visit http://www.wmas.nhs.uk/ourservices/heartstartstaffs.aspx or contact the team via heartstartstaffordshire@wmas.nhs.uk or call 01785 237341 – please leave a message and someone will response to your enquiry when possible. Tuesday 17th July 2013 – 7.00am – John Hawker. Four people have been injured, two seriously following an RTC in Birmingham last night. The crash occurred on Streetly Road, Erdington at around 10.20pm. Four ambulances, a rapid response vehicle, a paramedic officer and the Trusts MERIT team attended the scene. A West Midlands Ambulance Service spokesman said: “Crews arrived to find a quad bike and a car that had been in a serious collision. “The two male teenagers who were riding the quad bike had suffered multiple injuries and received emergency treatment at the scene. The driver of the quad, believed to be 17 years old, suffered head and serious leg injuries. The man was treated at the scene and transferred by ambulance to City Hospital for further treatment. “The pillion passenger, believed to be 15 years old, also suffered multiple serious leg injuries and also a shoulder injury. He also received emergency treatment at the scene and was transferred to Birmingham Children’s Hospital for further emergency treatment. “Unfortunately, the teenagers were wearing shorts, T-shirts, and no safety helmets whilst riding the quad bike. The wearing of safety clothing and a safety helmet undoubtedly helps to minimise injuries when riding quad bikes and motorcycles when a crash occurs. Tuesday 16th July 2013 – 5pm – Steve Parry. A man has been taken to hospital following a road traffic collision in Stafford this afternoon. The incident occurred in Lichfield Road just after 3pm. An ambulance, together with a paramedic in a rapid response vehicle, a paramedic officer and the Midlands Air Ambulance from Cosford attended the scene. “A man in his fifties was treated for serious head and leg injuries. Tuesday 16th July 2013 – 2pm – Steve Parry. A motorcyclist has been taken to hospital following a road traffic collision in Kinlet this morning. West Midlands Ambulance Service was called to an incident in Sturt Lane, Kinlet, just before 11am. An ambulance, a paramedic officer together with the Midlands Air Ambulance based at Cosford attended the scene. A West Midlands Ambulance Service spokesman said: “Ambulance crews responded to a motorcyclist who had come off his machine. “Crews treated a man in his sixties for a serious head injury. “The patient was anesthetised by an air ambulance doctor before being immobilised with the use of a neck collar and placed on a spinal board. The patient was airlifted to the Queen Elizabeth Hospital in Birmingham. Monday 15th July 2013 – 11.58pm – Murray MacGregor. 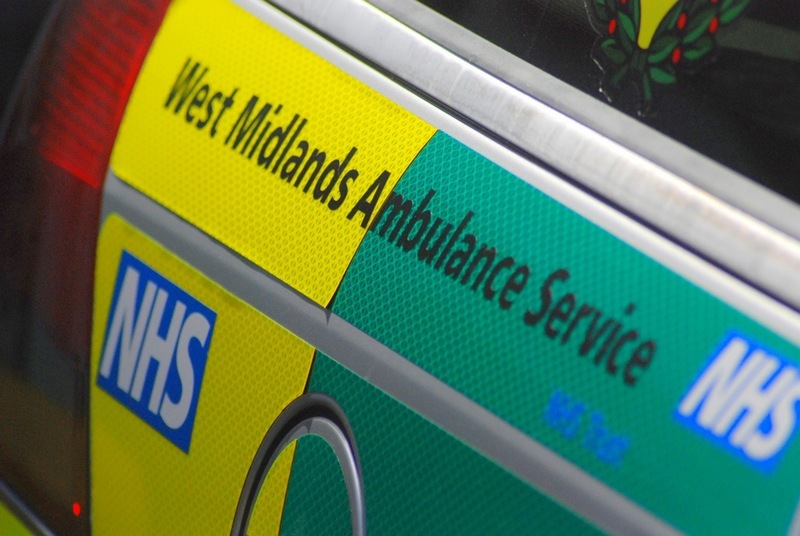 A woman has been anaesthetised at the scene of a two car crash in Aston. The collision happened in Rocky Lane at around 8.40pm on Monday night. Two ambulances, a paramedic officer and the MERIT Trauma Doctor were sent to the scene. A West Midlands Ambulance Service spokesman said: “On arrival, crews found two cars that had both suffered significant damage to the front end. “A woman in the first car had been partially ejected. The 26 year old had suffered a head injury. The doctor anaesthetised her at the scene before travelling with the ambulance crew to the major trauma centre at the Queen Elizabeth Hospital, Birmingham. Her condition was stable on arrival. A man in his 20s from the same car had suffered a sore wrist but appeared otherwise uninjured and did not travel to hospital. The man in his 40s who was driving the second car had neck and shoulder pain. After assessment and treatment at the scene, he did not travel to hospital either. Tuesday 15th July 2013 – 7.40pm – Murray MacGregor. With the current high temperatures set to continue for up to the next week, West Midlands Ambulance Service is calling on the public to show their neighbourly spirit and check that elderly relatives, friends and neighbours are ok. Temperatures in many parts of the UK are higher than holiday destinations in Spain and the USA. With no let-up for the next few days there are increasing concerns that vulnerable people could be at an increased risk of illness. WMAS Director of Nursing and Quality, Sandy Brown, said: “Whilst lots of people find this weather fantastic, there is a not insignificant number of people who are finding it really hard going at the moment. “The main causes of illness during a prolonged hot period are respiratory; due to the poor air quality and heart disease. In an effort to keep cool, the body sends extra blood to the skin which puts an additional strain on the heart. Dehydration is another common problem if people are outside for too long and / or don’t drink enough fluids. All three can prove fatal. · Those at risk of environmental factors and overexposure such as the homeless, activities or jobs that are in hot places or outdoors and include high levels of physical exertion. Monday 15th July 2013 – 4pm – Steve Parry. A man has been airlifted to hospital following a road traffic collision in Water Orton this afternoon. West Midlands Ambulance Service was called to Marsh Lane just after 1.30pm. An ambulance, together with a paramedic in a rapid response vehicle, a paramedic officer and the Warwickshire and Northants Air Ambulance were sent to the scene. A West Midlands Ambulance Service spokesman said: “Ambulance crews responded to a single vehicle collision. “Crews treated a man in his twenties. The patient was trapped in his vehicle before being extricated by the emergency services. Monday 15th July 2013 – 12.10pm – Steve Parry. With the heat wave continuing and the hottest day of the year recorded over the weekend, ambulance crews were once again under pressure to deal with high numbers of 999 calls. 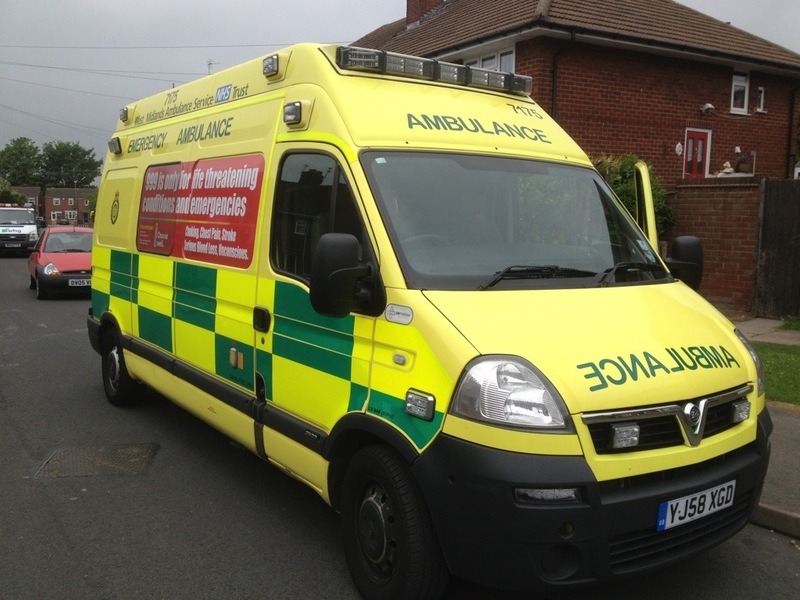 West Midlands Ambulance Service received 3,168 999 calls on Saturday and 2,890 on Sunday. These figures are very similar to that recorded last weekend and represent a 24% increase in calls compared with the same period last year. Daren Fradgley, WMAS Assistant Chief Ambulance Officer, said: “With the heat wave continuing across the West Midlands, the ambulance service once again recorded high levels of demand over the weekend. “The figures are similar to the previous weekend with demand on the service remaining extremely high. Fancy a swim? Then please do so in a supervised swimming pool. No matter how tempting it is to cool off in rivers and lakes. The Trust has sadly dealt with three fatal incidents in open water in the past week.